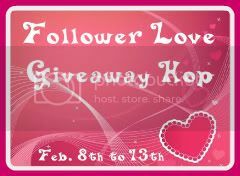 Thanks to Inspired Kathy from I Am A Reader Not, a Writer who is hosting the Follower Love Giveaway Hop! My favorite romantic movie moment was from When Harry Met Sally at the end of the movie when Harry and Sally had a falling out and he runs to the New Year's Eve party and says to her "The reason I came here tonight is because when you realize you want to spend the rest of your life with someone, you want the rest of your life to start as soon as possible." *Sigh* One of the best movie lines of all time. Can't wait to hear about your favorite romantic movie and book moments! 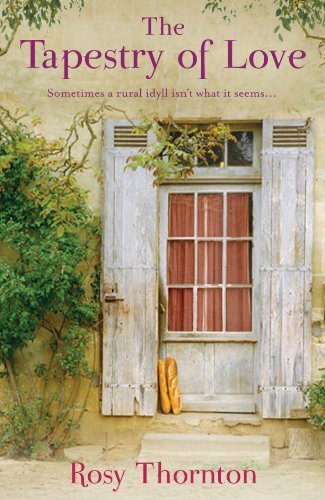 My favorite scene is the wedding in Nora Roberts Bride Quartet. They all make me cry. 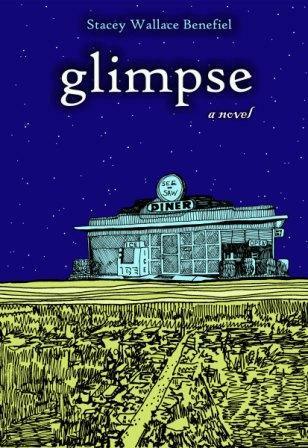 I have never heard of glimpse, but it sounds really interesting! Both books sounds really good. My favorite "YA" love scene is in 16 Candles when Jake Ryan is waiting outside of the church after Samantha's sister's wedding. Samantha looks behind her to see if anyone is there and then turns toward Jake and asks "Me?" and then Jake says, "Yeah, you." Love it! Thanks for the great giveaway. I love that scene from Harry Met Sally - awesome line. These blog hops are such fun! My favorite scene has to be from Fang ( James Patterson). Max and Fang steal a few kisses when they are supposed to be putting up a tent. My favorite scene is from AN OFFICER AND A GENTLEMAN when Richard Gere carries Debra Winger out of the factory. Thanks for the chance to win. Stacey Wallace Benefiel is totally awesome. How about the line "you had me at hello?" Can't remember the name of the movie but it starred Tom Cruz. Hello, I am a new follower and I Love the blog and the top is so pretty. Thanks for being in the Hop and both books look so good. I am a new follower. My favorite love scene is in the book Scarlett(i'm reading it now). Rhett and Scarlett has spent the day out on the ocean when a storm comes up and the boat capsizes. The water was very cold and Rhett thought he was going to loose Scarlett but when they made it back to shore. Well you know what happened next but the next morning Rhett regrets giving into her and decides to leave town AGAIN. My favorite romantic scene is the beach scene in From Here To Eternity. Oh when Jaime tries to send Claire back to her future world in Outlander but she turns and runs back to him. SUCH a good book. Somewhere in Time!! I love that movie and there are several scenes that take my breath. My favorite scene is when Andie MacDowell and Gerard Depardieu have to say goodbye, at the end of Green Card. They drove each other crazy the whole movie, and then realize they're in love. But he ends up getting deported. It's an intense scene. The most romantic scene that I love is in the movie "A walk to Remember" when Lane builds a microscope for Jamie in secret so she can see the comet that only comes once every so many years and also when he proudly takes her hand in front of all of his cool friends and defends her in front of them. To me, that was just so romantic. The whole movie was like that. I loved how he made it his goal to have her get as much out of life as she could despite her disease. Having a progressive disease myself, I see my family doing things like that for me and it touches my heart. We can't ever forget that it's the small things that are most important in life and in love. I'm a new follower,thanks for the giveaway. Both books sound good. Just stopping by! Glimpse sounds wonderful! My favorite romantic movie moment is Jerry Maguire's "You had me at hello" :) *Thanks* for the giveaway! My favorite scene from a romantic movie is when Richard Gere climbs the fire escape to go to Julia Roberts at the end of Pretty Woman. Thanks for the giveaway and for participating in this blog hop! One of my favorite romantic movie moments is from "The Proposal" when Andrew says to Margaret, "Marry me! Because I want to date you!"